According to the surgeon general, tooth decay is the single most common chronic childhood disease. To prevent your child from having tooth decay and practice great oral care, it’s important for you to educate your child on the importance of their teeth. It can be hard to stay on top of your children to make sure they’re brushing, flossing, but this guide can help you out a bit! The earlier you start, the easier it is. Once you start seeing teeth growing on your little one, you should begin brushing their teeth twice a day. Even though these are just the primary, or baby teeth, you will help keep their gums clean and healthy. 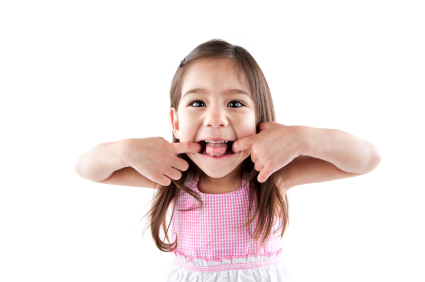 Starting early will also instill in your child the importance of routinely taking care of their teeth. It is normally recommended to start flossing around 4 years of age. It’s important to patiently describe how and why to brush their teeth. Without frightening them, be sure to explain that when one neglects their mouth they can get cavities, bad breath, tooth rotting, gum disease and other terrible consequences. Be sure to demonstrate the pea-sized toothpaste you put on the toothbrush and the way your brush morning and night. Show them the motions and all the areas including the top, side and backside of their teeth as well as their tongue and the sides of their mouth. It’s equally important to show them how your floss and use mouthwash. The best way to train your child to take care of their teeth is to be a good role model. Show them that Mommy and Daddy brush their teeth and it keeps their teeth clean and white. The easiest way to get kids on-board with things is make it fun for them. Have them pick out their own toothbrush and fluoride toothpaste. Challenge your child to keep brushing the entire length of their favorite song. Have them brush their doll or stuffed animal’s teeth too. Another helpful tip is to accentuate the positive to your child. Say things like, “Oh I can’t wait to brush my teeth and have the smooth, clean feel!” This will help them get enthusiastic about brushing as opposed to dreading it. One of the best ways to take care of your child’s teeth is to create a healthy diet for them. Staying away from starchy or sugary foods and drinks is a great way to keep plaque and bacteria away. We recommend fresh vegetables, low-fat yogurt, fruits,and low-fat cheese. Also encourage children to drink water which has a natural rinsing and cleansing element. It also keeps your child hydrated and mouth moisturized. It’s important to take your child to the dentist twice a year starting at age one. Prepare your child for the experience explaining that professionals will be looking into their mouth and examining their teeth and mouth health. About the Author: Dr. Dailley is a practicing dentist specializing in cures for bad breath and halitosis treatment kits. Dr. Dailley operates a bad breath treatment clinic in San Francisco you can visit to treat your halitosis. Most people I talk to think bad breath, or halitosis, is a problem of the mouth. While this is routinely the case, bad breath has several different root causes. This article will talk about the 4 types of bad breath: tonsils, lungs, sinuses, and, of course, your mouth. By determining the cause, you can help treat bad breath and get rid of it! Infections in the tonsils can result in a bad breath condition. Often times, however, we are approached by people concerned about the possibility of tonsil-induced halitosis from tonsil stones or tonsilloliths. These so-called tonsilloliths are a natural secretion from natural crevices or crypts in the tonsils and they are not a stone. They are soft and look much like a cottage cheese curd but they do smell badly. It is easy to see why one might assume these might be related to their halitosis condition. Everybody who has tonsils will get these and most of the time they are swallowed without realizing it, but hey will not produce a halitosis condition. We have seen over a thousand patients since we have been treating this problem have their tonsils removed because they were convinced that these secretions from the tonsils were the cause of the breath problem. In every single case the secretions were halted because the tonsils were removed but the breath was unchanged in every case.If you have tonsil stones, you can use an oral irrigator to get rid of the problem. Lung problems can induce halitosis in two key ways: disease or oral ingestion. A lung disease or disorder commonly comes with bad breath. Lung cancer, cystic fibrosis and asthma are just a few of the lung problems that may result in bad breath. Diseases that affect the blood will also create a foul odor of the mouth. This makes sense. Consider that anytime you exhale, you are releasing the carbon dioxide carried in your blood. This is why problems of the liver or kidney may also come with bad breath. Unfortunately, halitosis associated with an organ problem only go away when the organ problem goes away, but fortunately these types of conditions are quite rare. Lung breath that can be controlled is caused by oral ingestion. This includes smoking and eating or drinking certain things. By inhaling tobacco and tar, you are causing “stinky lungs” that don’t go away with a little mouthwash. Alcohol also induces bad breath because consuming it allows alcohol into the blood stream and is released in your breath over time. This is the reason why brushing after a few beers doesn’t get rid of the bad taste or breath. This is the same reasoning for smelly foods like garlic and onions. Sinusitis and post nasal drip can greatly worsen your breath. In both cases, some type of allergic infection or cold induces sinus problems. Sinusitis, or a sinus infection, simply means that your paranasal sinuses are inflamed. Paranasal sinuses are air cavities or spaces connected to your nose. This inflammation disallows mucus to circulate normally causing buildup that attracts bacteria. Post nasal drip occurs when excess mucus leaks in the back of your mouth. Both sinusitis and post nasal drip creates foul smells. We recomend using Nasal irrigators & saline nasal rinse. This type of halitosis has to do with what’s actually going on in your mouth. The cause could be excessive dry mouth, known as xerostomia, poor oral hygiene, drinking coffee or eating smelly foods. The best way to combat mouth-related halitosis is to practice great oral care, visiting the dentist and drinking plenty of water. About the Author: Dr. Dailley is the founder of The Center for Breath Treatment as well as NovaBay Pharmaceutical. He specializes in curing bad breath and works with patients to remedy their bad breath. Dr. Dailley has a 99% success rate and appointments can be made so you can get rid of bad breath. Dr. Dailley sells a number of bad breath treatment kits and bad breath solutions.